So Lonely in Gorgeous: Running on Empty: January Empties! 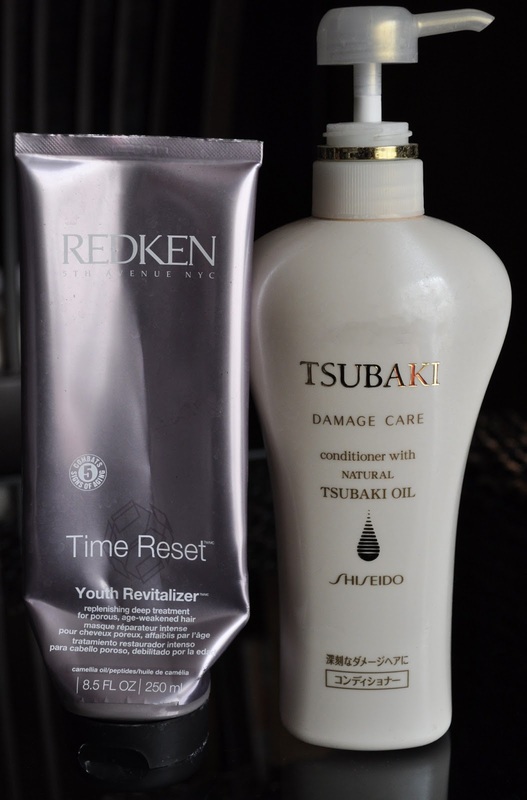 Time Reset Youth Revitalizer: After reading about this deep conditioner on Redken's website, I decided to give it a go. If you've been reading this blog, you'll know that I dye my hair ALOT! So, I'm always keen on trying anything to help/improve/maintain the condition of my hair. I have noticed a slight improvement in the texture of my hair. I would repurchase. Tsubaki Damage Care Conditioner: Tsubaki's Damage Care line was my holy grail drug store shampoo and conditioner, but the last few times I've purchased this line my hair felt dry. I don't know if something has changed with the ingredients, but my hair is no longer agreeing with this product. Unfortunately, I've moved on and stopped using it. Sabon Patchouli Lavender Vanilla Shower Oil: This shower gel is liquid luxury!! It smells heavenly, and leave the skin feeling divine! Will always repurchase! 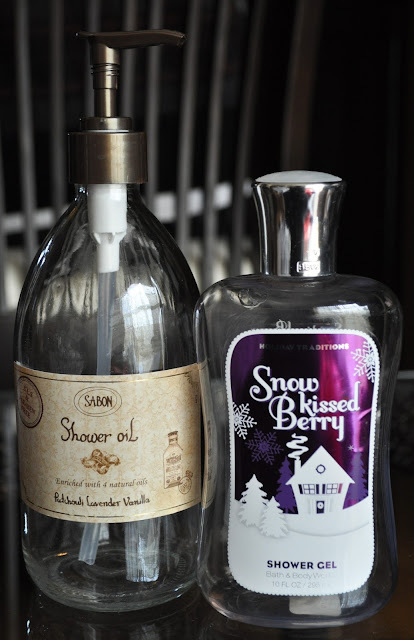 Bath & Body Works Snow Kissed Berry Shower Gel: I wasn't a fan of this scent, and I won't repurchase. Colgate Maxfresh Toothpaste: I need this toothpaste in dental hygiene life! Will always repurchase. Para Do Nail Polish Remover: I picked this nail polish remover at a convini, and it was actually good! I will repurchase. John Masters Organics Lip Calm & Carmex Moisture Plus: Those two products are my all time favorite lip moisturizers EVER! 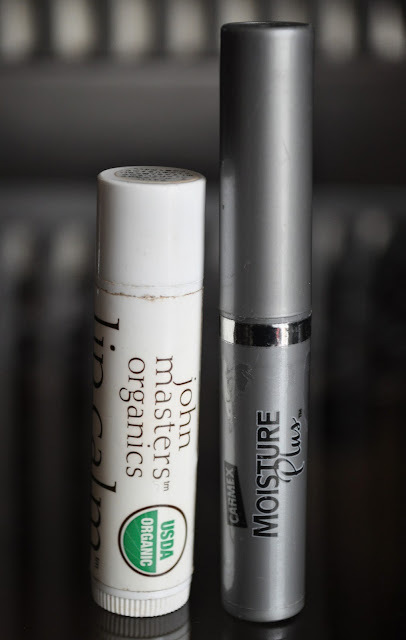 I been using both of them for years, and will never be without them!! 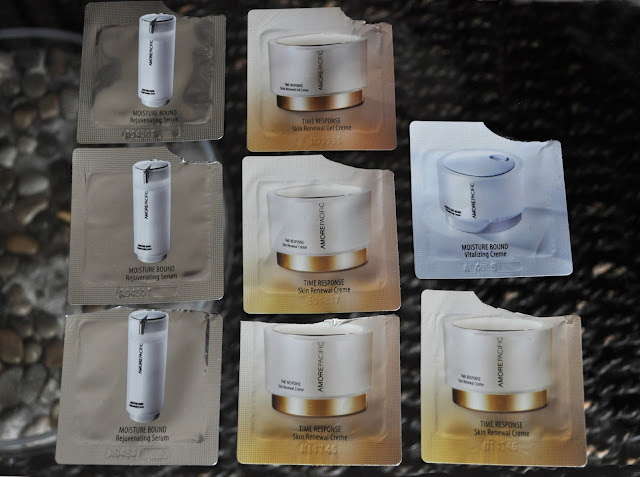 I will always and forever repurchase! Benefit Badgal Lash: for some odd reason I have a bunch of these mini Badgal lash mascara laying around. In the past, I did purchase a full size of Badgal Lash. It's an alright mascara, but I much prefer my Dior show. 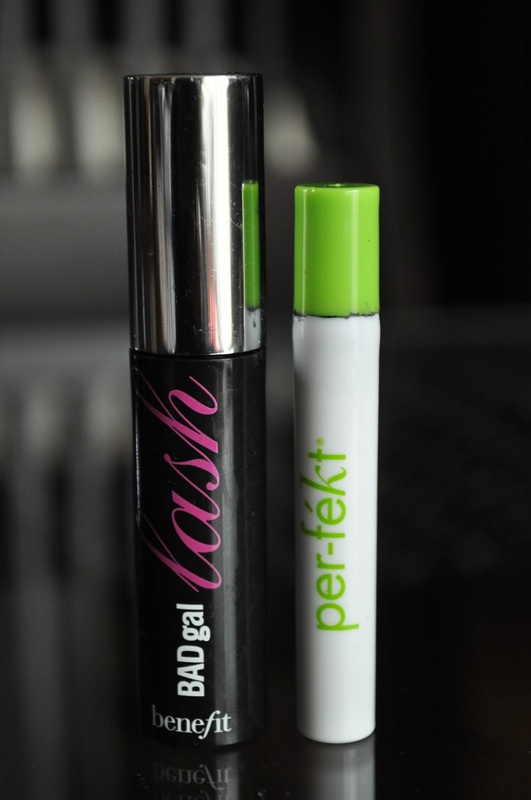 Perfekt Lash Perfection Gel: Lash Perfection Gel is an okay mascara, that gives your lash a very natural look. Although it was a nice mascara, I wasn't too impressed to warrant purchasing a full size of this product. 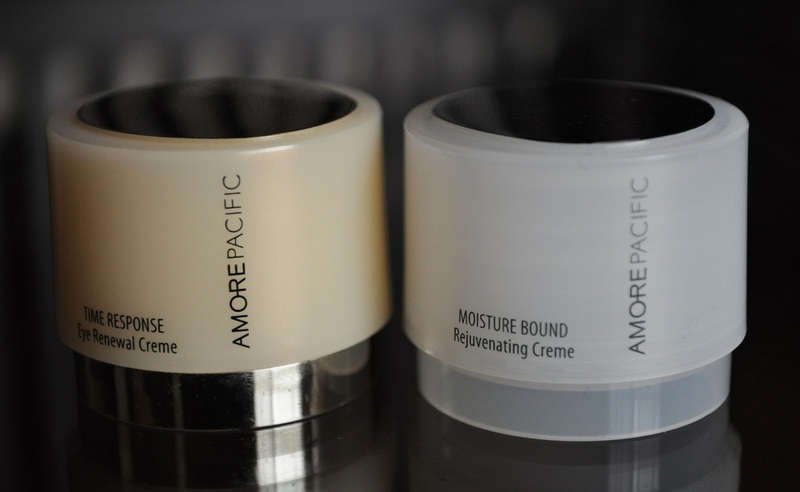 AMORE PACIFIC: Oh my goodness, this skincare line is pure decadence! I LOVE the way my skin reacted to all these products. I believe AMAZING sums it up pretty well :D I will definitely purchase all these products! If there is a change in the search engine algorithms, it is also up to the service provider to keep a watch on such activities. marketing opportunities. It focuses on networking and impeccable website maintenance. online businesses because it lets your website get found. The growth management of small business can be accomplished with SEO as an integral part of your overall Internet marketing strategy. Now, if it takes you three years to referrer 3000 members which means that you receive US$3000 per month. need to use in order to boost your search engine rankings and get more traffic to your blog. As of now, Thomas Lenarz has helped many people get the information on reputed SEO companies. it’s internally on your site or externally by backlink spamming. wow! so many amore pacific! 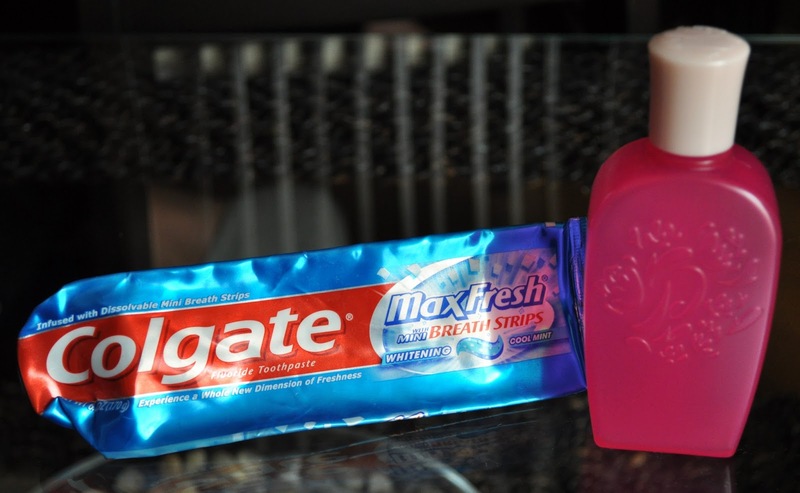 Have you tried the brand before? I LOVE it! isn't the same unwwanted rehashed material.